Epic Beauty Event at CVS - What is it? 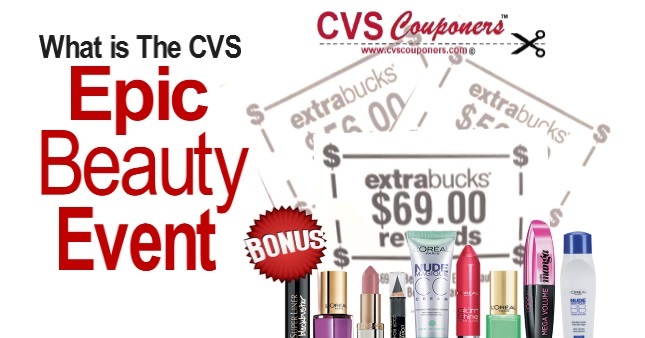 The Epic Beauty Event at CVS is a way to earn bonus Extra bucks by purchasing beauty products. Make sure on the next event to take full advantage of it,You can earn some serious Extra bucks this way. How much did you get back on the first ever Epic Beauty Event? 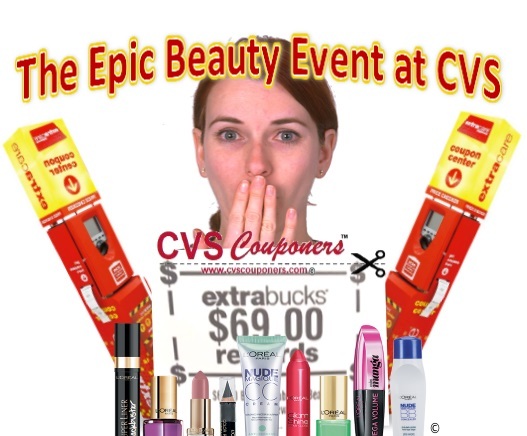 What is The Epic Beauty Event at CVS Pharmacy? 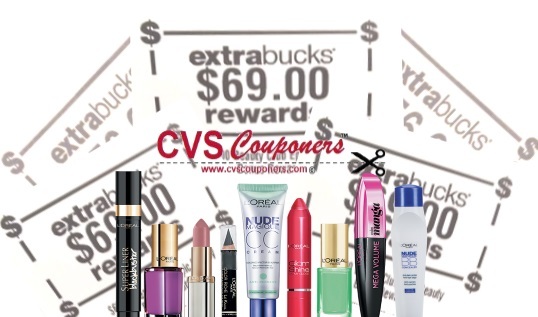 From time to time, you can earn up to $100 Extra Bucks Rewards on all Beauty products at CVS between a specific date. How does The Epic Beauty Event Work? During a specific date posted by CVS Pharmacy (Example -February 17 - March 16 - the last event), between these two dates you will earn an extra 10% Extra bucks back on beauty products you purchase. How Much Epic Beauty Event rewards can I get? You can earn up to an extra $100 Extra bucks. 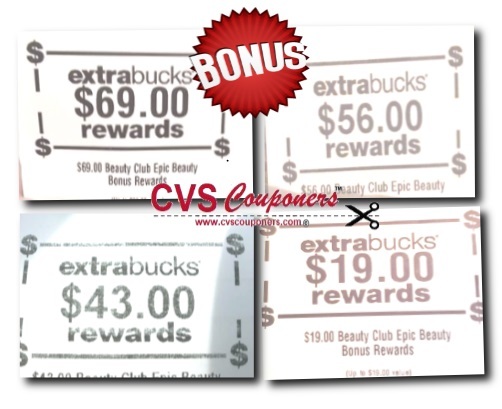 Your Epic Beauty Event rewards is based off your beauty purchases during that period posted by CVS Pharmacy, the more you buy, the more you will get. Can Any One Get The Epic Beauty Event Rewards Bonus? No, They Must be a beauty Rewards member and make a purchase on Beauty Products between dates listed at CVS. Where Do i get My Epic Beauty Event Rewards? They will Print At the Extra Care Buck Coupon Center (Red coupon Machine) at your local CVS store. When do I get My Epic Beauty Event Bonus Rewards. Your Epic Beauty Event Bonus rewards will print with-in 48hr to 72hr after the final end date of the promotion posted by CVS Pharmacy. 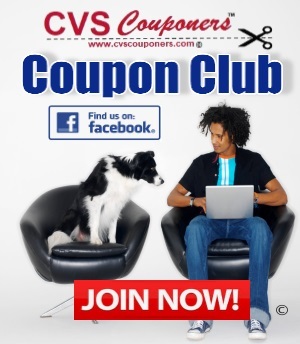 Here is What some of our CVS Couponers Members Got Already. Hurry.. Check to see if you got any, the started printing on 3/19/2019 from last promotion that was on. 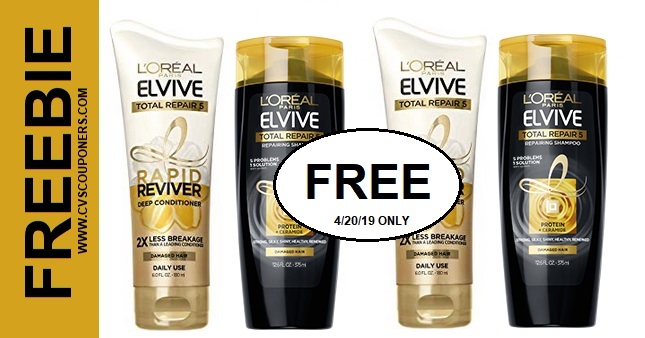 The Epic Beauty Event is now over, but Check back here for the next The Epic Beauty Event Bonus, or Subscribe to CVS Couponers so you don't miss out on the next Epic Beauty Event.